Google (NASDAQ: GOOG) hopes to one day revolutionize the world of transportation with the completion of its self-driving cars initiative. During an interview with CNBC, Tesla (NASDAQ: TSLA) Chairman and CEO Elon Musk said that he has had preliminary discussions with Google about its innovative plans. "We may or may not partner with Google," he told the network, adding that the company would produce self-driving vehicles regardless. Musk said that before the recent Supercharger announcement, the company had projected to sell 20,000 Model S units a year in North America. He now expects that number to grow. With regard to government subsidies, Musk told CNBC that he expects to receive somewhere around a "25 percent growth margin without the government credits in the fourth quarter." "We expect to make money without any government subsidy by the end of the year," he told the network. He also pointed out that the company has been shipping most of its units overseas where there are not any U.S. government subsidies. When asked if Tesla could have achieved the same level of success in North America without the government subsidies, Musk said that while it helped accelerate the firm's growth, "I don't think it was necessary but it was very helpful." Further, he told CNBC that he does not believe the company would have hit 20,000 units a year in North America without being able to offer some financing options. "That was an important part of it," he said. Without financing, he estimated that his market would be limited to one million households. With financing, it could grow as large as five or 10 million households. The 60 kWh Model S starts at $71,000. At that price, CNBC reporters wanted to know who is actually buying Tesla vehicles. "It's someone who wants the best car in the world," Musk replied. "We're fortunate that Consumer Reports gave us [a rating of] 99 out of 100. They've only given that [score] once before to a car, a Lexus, six years ago. [This is the] first time an American car ever got that rating." Musk also defended his promotional pricing structure, which informs potential customers that the monthly fee of the Model S is $580 after gas savings. In reality, the estimated monthly payment for a 72-month loan is $916 with a 15 percent down payment. And that's for the cheapest model available. Moving on to another hot topic -- Hyperloop -- Musk would not provide any specific details aside from saying that it will be a great way to travel between cities. He said that while it is not something he personally has the time to do, he wants to put it out there so that others may take a stab at the project. "It's not a mode of transport that currently exists," he added. 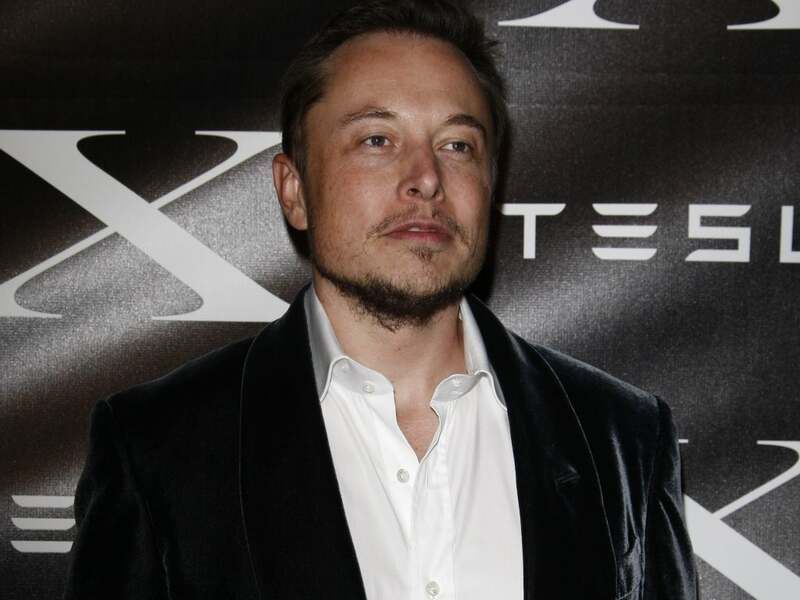 Musk plans to officially unveil Hyperloop on June 20. During the interview, CNBC also asked Musk about his departure from Fwd.us, a Mark Zuckerberg-led organization that is dedicated to immigration reform. "I didn't really want to make a big deal out of it," Musk said of his departure. "The reason I joined in the first place, I think it is important that we have immigration reform in the U.S."
Musk said that the country needs reform because its current laws send people away that could contribute (or already have contributed) to the country. But he ultimately "wasn't comfortable with some of the tactics that we used" while working with Fwd.us. "I felt the approach that was taken was a bit too cynical," he added. "If you want to win a cause in Washington I really think you need to argue the merits of the cause." It's harder, he said, "But [it's] the right way to do it." 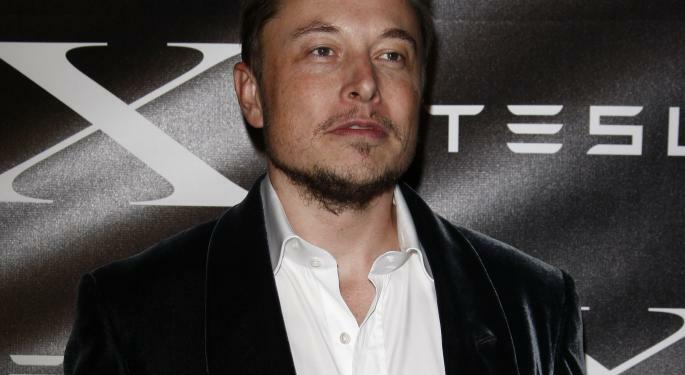 Looking ahead, Musk said that Tesla plans to introduce a lower-price vehicle in three to four years that could fall within the range of $35,000. He also expects a small SUV to follow that vehicle's release. When asked if the cheaper Tesla cars would undercut the more expensive models and hurt their resell value, Musk said that he stands behind the Model S and believes that it will maintain its guaranteed resell value. Finally, Musk denied the tabloid reports claim that he is dating actress Cameron Diaz.